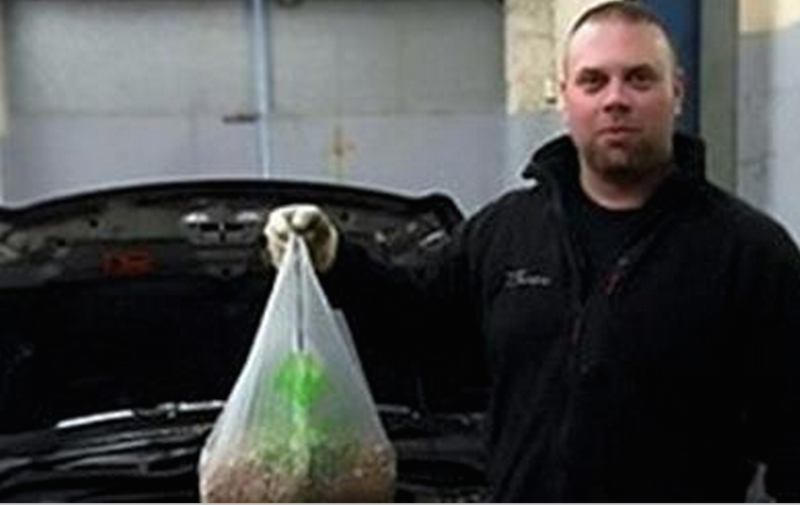 Her Car Was Running Slow, What The Mechanic Found Under The Hood Was Just Unbelievable! She was a proud owner of a newer model Honda Civic. Honda’s have always been known for the reliability, so she could not understand why her car was never able to go more than 40 mph. Finally, she took her car into the mechanic to see what the problem was. What he found when he looked under the hood, was truly unexpected. Apparently, a squirrel was using a large crevice in the car to store his is nuts! 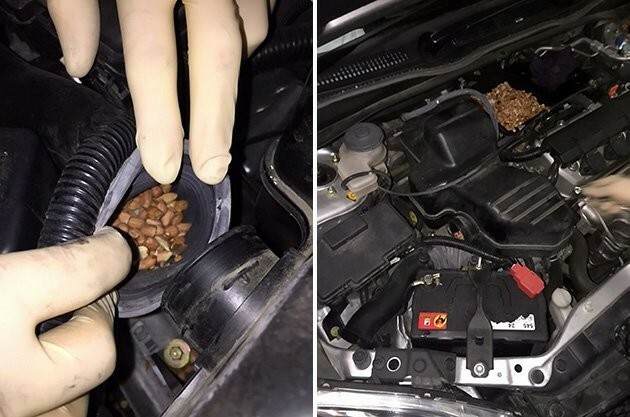 The mechanic was able to figure out that the squirrel was climbing into the engine bay at night to stockpile nuts. 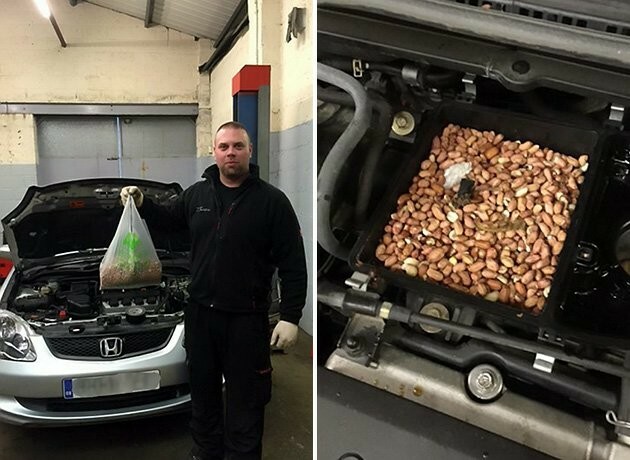 The nuts were removed, and the car is running at top performance. Unfortunately for that squirrel, all it’s hard work is down the drain!